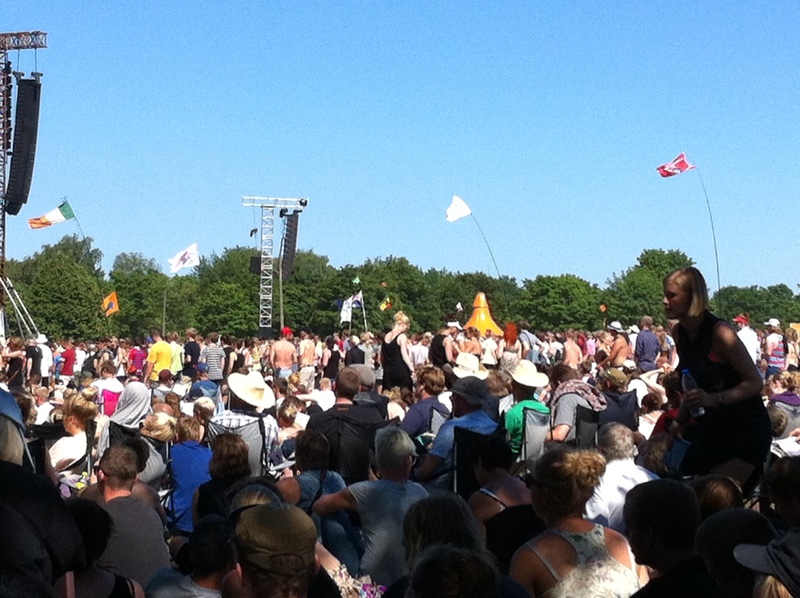 Last year’s Roskilde Festival was a case study in European Festivals. Spectacularly well organised, great line up, not that expensive and remarkably free of drunken louts. Transport is super easy – just a train from Copenhagen central station through the country side, and there you are. Next time we will wear costumes. Was glad to have a hotel in town, despite the need to take trains home, like all festivals the camping was a bit manky after a few days. The food was also incredible. There was even a very impressive iPhone app for the food stalls called APPetizer. 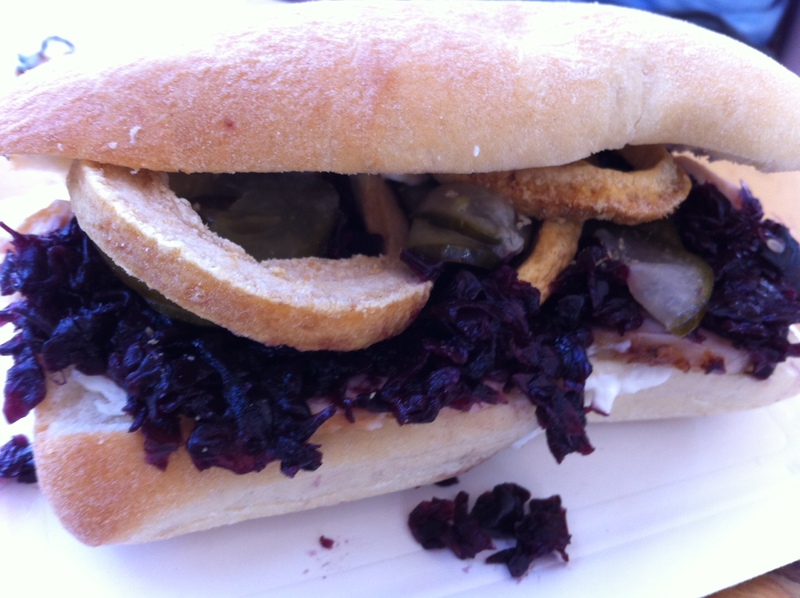 This flexitarian was swayed into trying the Stegt flæsk sandwhich. It translates as something like fried bacon, but is kind of pork bellyish, served with cabbage, mayonnaise and all things good. Mr K was almost moved to tears by how good this sandwich was. Worth the price of admission alone. Of course there was also music. There were some pretty impressive headliners, including Bruce Springsteen and the Herbalizer DJs and Bjork, but my favourite act was First Aid Kit. They had just the right amount of rock and cheer for a gorgeous festival like this.